If you’re anything like me and don’t take kindly to celebrating a holiday commemorating a group of Calvinists who set up a Puritan theocracy in New England known for persecuting Catholics, then you can rest easy; the protestants were not the first to celebrate Thanksgiving in this country–Catholics were. Saint Augustine, Florida is the oldest settlement in the United States, founded in 1565 by Spanish Catholic explorers. On first sighting land on August 28, the feast of St. Augustine, they named the city after him. On September 8, the Nativity of Mary, they came ashore with great fanfare–to the astonishment of the natives. A Mass of Thanksgiving was held, after which a communal feast was celebrated with the local Seloy tribe. 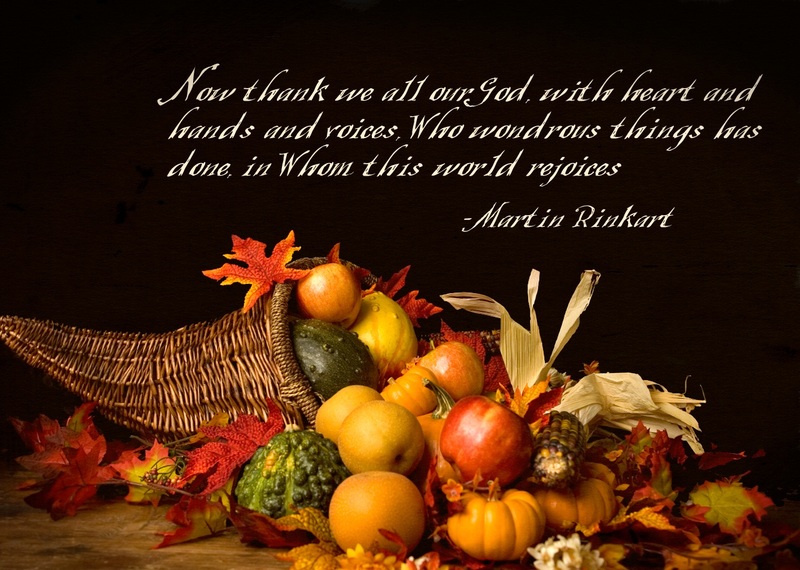 It was the first communal thanksgiving celebration in the first permanently settled European colony on American soil.